How to make 4 people strawberry and langoustine salads? 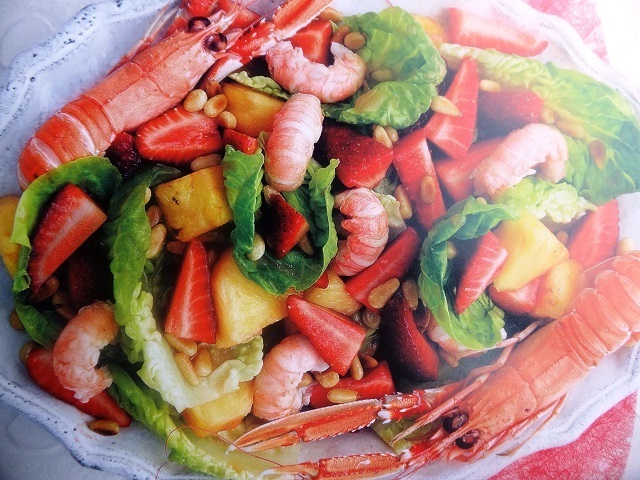 Strawberry and langoustine salad recipes and ingredient shared on our page. Toss the pine nuts in a large dry pan over a medium heat for 4-5 minutes, until golden brown. Set aside to cool completely. Meanwhile, make the dressing by whisking all the ingredients together. Set aside. Slice the pineapple into segments of a similar size to the strawberries. Peel the langoustines, reserving a couple of whole ones to garnish. 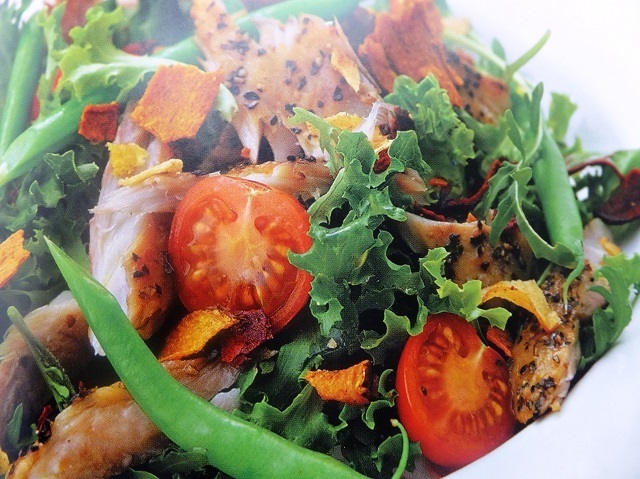 Toss the lettuce leaves and fruit with the dressing and arrange in a bowl. Put the peeled langoustines on top and arrange the langoustines still in the shell on the side. Sprinkle with the pine nuts to serve. Langoustines are increasingly known as Dublin Bay prawns. You could use prawns instead of langoustines. Your enjoy meal!